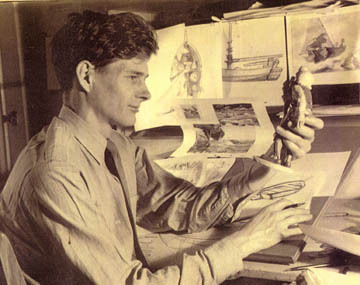 Disney illustrator Ernest Nordli (IMDB Filmography) was married in the 1930s to artist Rosalind Couper Nordli, making their home in Santa Barbara, CA. He was one of a Santa Barbara group who produced "Snow White and the Seven Dwarfs" the first full length cartoon film feature, in December of 1937. Others included Ward Kimball, Campbell Grant, and Sam Armstrong. They joined 3,000 other cartoonists to make the $1,000,000 film. 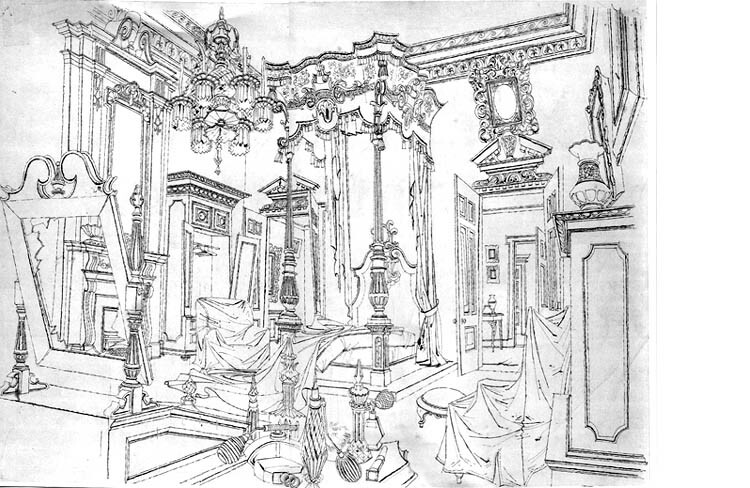 See illustration of the background scene for "101 Dalmations"
Record covers and several LR picture puzzles, including the Lone Ranger. DISNEY STUDIOS circa 1936-1940s, circa 1956-58. Films: Fantasia 1940, Dumbo 1941, Donald Duck 1945-1946, Art Director Dance of the Hours Disney FANTASIA 1940 Art Director DUMBO 1941. Backgrounds: DISNEY Donald Duck 1946-1947, Sleeping Beauty 1959. Story Man: DISNEY 1956-1958 Layout Styling: DISNEY 1959-1960, 101 Dalmatians 1961. Sleeping Beauty 1959. 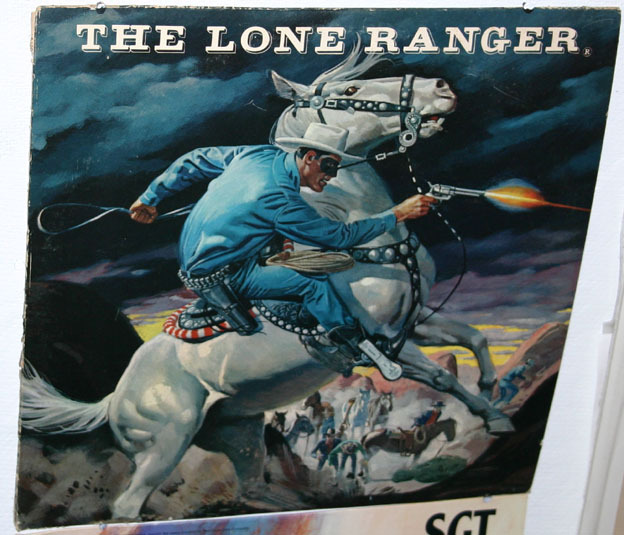 Painted Dell comic book cover paintings, c. 1950. Tonto, Cisco Kid, Roy Rogers, Lone Ranger comics #s42, 50, 52, 53, 56, 59, 60 signed.